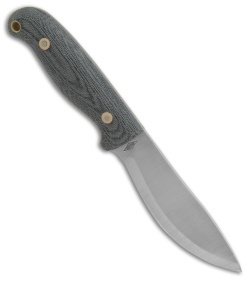 This Survival Knife has a Scandi ground blade and a bead blasted black Micarta handle. 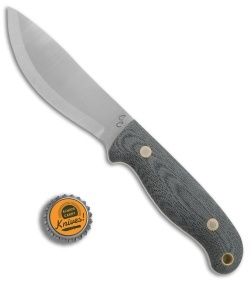 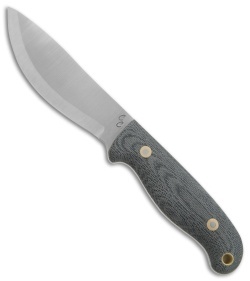 The BHK Survival Knife was personally designed by Chris Caine for use in his survival school. Its full-tang O1 steel blade was developed for feather sticking, firesteel striking, food preparation, making traps and triggers, and using as an EDC draw knife. The elliptical handles are made from black micarta that has been contoured for maximized comfort. 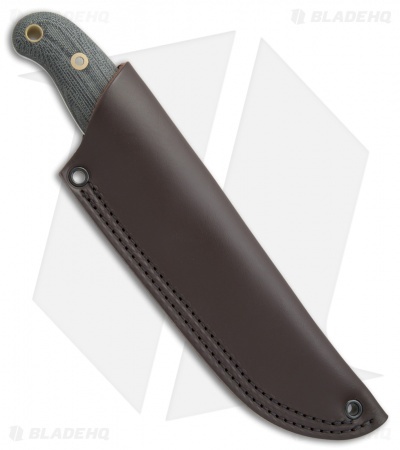 This fixed blade includes a heavy-duty leather sheath for secure belt carry.